Georgia nursing homes have been discovered to have deficiencies in quality of care and having an accident-prone environment. A UCSF research study investigating deficiencies in nursing homes throughout the United States discovered that 41 percent of all Georgia nursing homes have deficiencies in their quality of care. In addition, 36 percent of all Georgia nursing homes have been discovered to have an accident-prone environment. The deficiencies in Georgia nursing homes are even more tragic, as 24 percent of residents experience pressure sores and 40 percent of nursing homes have inadequate housekeeping services. 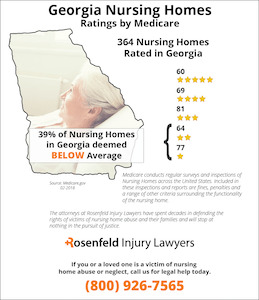 These statistics indicate that nursing home neglect is a significant problem in Georgia and must be addressed by nursing home lawyers. 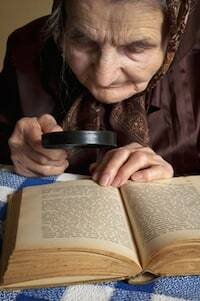 Throughout the year, Medicare regularly surveys and inspects all Georgia nursing homes to identify deficiencies and violations that led to substandard care. Currently, Medicare states that 141 (39%) of the 364 nursing facilities in Georgia are deemed below the national average now that investigators have determined the nursing staff provides substandard care. If your loved one was injured, neglected, mistreated, abused or died prematurely while residing in a nursing home in Georgia, we encourage you to contact the Georgia nursing home abuse & neglect attorneys at Nursing Home Law Center to discuss your case for compensation during a free case consultation. In Georgia, family members only have up to 2 years to file a claim after discovering the injuries of a loved one in a nursing home. There is a damages cap of $350,000 for non-economic damages in nursing home negligence cases. In addition, punitive damages are capped at $250,000. Family members also only have two years to file a wrongful death claim after a loved one has passed away due to neglect in a nursing home. Wrongful death claims are capped at $350,000 for non-economic damages, and punitive damages are capped at $250,000 in Georgia. Nursing home residents in Georgia receive their legal protections under the Disabled Adults and Elder Persons Protection Act. Georgia law defines abuse as the willful infliction of physical pain or injury, mental anguish, unreasonable confinement or deprivation of care for nursing home residents. Exploitation refers to the illegal or improper use of a nursing home resident for another person’s profit or economic advantage. When it is discovered that a resident is the victim of abuse, there is an obligation for a person to report the abuse to authorities. Physicians, nurses and other caregivers who treat a nursing home resident must report any signs of abuse that they notice. The victim may then quality for emergency services from an adult protection agency in Georgia. In addition, family members should pay special attention if a loved one does vocally complain about abuse. It is always a serious matter when a loved one has vocally stated that he or she may be the victim of abuse. It is vital that family members report nursing home abuse to the Adult Protective Services agency in Georgia. This agency handles complaints of physical, emotional, sexual and mental abuse. In addition, this agency handles complaints of financial exploitation. Speak with a lawyer from a Georgia nursing home abuse law firm today to receive the immediate help that you need. Many nursing homes throughout Georgia have had a long history of serious problems in providing quality care to their patients. In many incidences, the CMS (Centers for Medicare & Medicaid Services) has cited nursing facilities for caregiving problems. Even though government teams visit nursing home facilities to determine the level of quality of care provided to every resident every year, serious medical issues still abound. 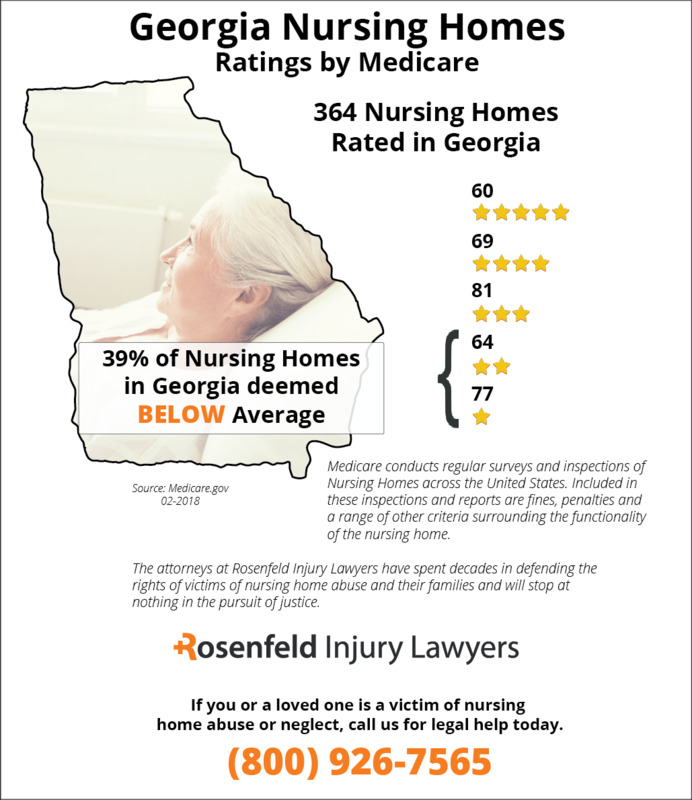 The Georgia bed sore attorneys at Nursing Home Law Center LLC are committed to holding medical facilities, such as nursing homes and hospitals when a patient develops a decubitus ulcer at the facility. Contact our office for a free legal review of your Georgia case. We handles these cases on a contingency fee basis where there is a legal fee charged only when there is a recovery for you. On average, there are close to 60,000 Georgians admitted to nursing homes and skilled nursing facilities every year. The high demand for nursing home beds has challenged many facilities in their ability to hire highly trained medical professionals including nurses and nursing aides skilled at handling the elderly and infirmed. As a result of understaffing, many of the needs of nursing home patients cannot be met, leading to serious problems including bedsores. Any disregard in providing these necessities to avoid a bedsore would be considered negligence. Georgia nursing homes that follow the protocols and practices for avoiding bedsores usually create a quality health plan when the patient is admitted to the facility. When the nursing staff implements the plan, the patient receives quality care through constant monitoring. The nurses typically perform a skin assessment at the beginning of their shift and document any notable sign of a developing bedsore. When a pressure sore is detected, the medical professionals in charge follow proven protocols to ensure that the wound does not progress to an advancing stage. Alternatively, if the patient’s wound is left unattended, the bedsore in an early stage can quickly ulcerate into an open wound, where the patient suffers sepsis (blood infection) or osteomyelitis (bone infection). In advancing stages, the ulcerated bedsore can become life threatening and extremely difficult to treat. Stop the Neglect: Contact a Pressure Sore Attorney in Georgia Today. 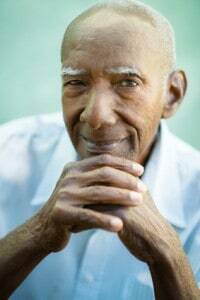 Typically, the only way to family members can stop the neglect in a nursing home when their loved one is suffering a bedsore is to take legal action. This often requires hiring a Georgia bed sore attorney who can hold the parties at fault accountable for their negligence. In addition, the law firm can seek financial compensation to provide adequate funding to bring highly trained medical specialists into the nursing home to treat progressive bedsores. Below is a list of competent professionals dedicated to assisting families with loved ones suffering bedsores in nursing homes and nursing facilities. Typically, the sign of a patient suffering bedsores in a nursing home is an indicator that there is a lack of protocol the facility. In these situations, complaining to appropriate administrators is usually not enough to change the procedures in providing care in the home. Alternatively, hiring a skilled Georgia bed sore attorney offers families a viable solution for stopping the negligence immediately. The nursing home negligence attorneys at Nursing Home Law Center LLC offer potential clients a no obligation, free initial consultation to discuss their claim. They provide a variety of legal options to ensure the loved one is provided the best medical care to ensure their safety and improve their quality of life.